I’ve been knitting as fast as I can on the Aran Tam. Unfortunately, the bottom of the tam is mostly ribbing and stockinette, which tends to bore me (I’m such the process knitter) and I’ve been kind of slow on it. The interesting stuff is all on the top. I thought about changing that in my pattern, but I want this to be traditional, and the ones I found online were all plain on the bottom (as far as I could tell.) Anyway, I only have two more increase rounds then the fun starts! I’ve also been working on a pair of mystery mittens, but you’ll have to wait for pictures of those. Not much to gawk at yet; but soon, soon it will be gorgeous! So, on to the real purpose of this post. In my quest to make the Arthurian Anklets easier to understand and knit, I’ve taken some pictures for a tutorial on the lifted increases, called LRinc and LLinc in New Pathways for Sock Knitters. These are different from an M1 increase. 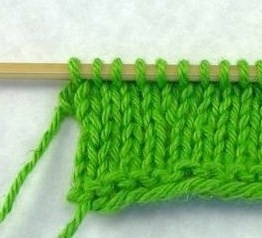 M1 uses the strand of yarn running between stitches, while the lifted increases use the right or left leg of the stitches in the row below. Unlike an M1, you can use a lifted increase at the beginning or end of a row. These increases are nearly invisible, although there will be a tiny hole, about the same or smaller than an M1. I’m not sure if I like lifted increases more or less than M1s, but I believe in knowing as many ways to do an increase (or anything, really) as I can. I first saw these increases in Knitter’s Arans and Celtics and the way that they were explained confused me to no end. Once I figured them out, they were really easy, but I wondered why such awful instructions were used. Hopefully you won’t have that problem. 🙂 Yarn used is Knit Picks CotLin in Key Lime on size 4 DPNs. 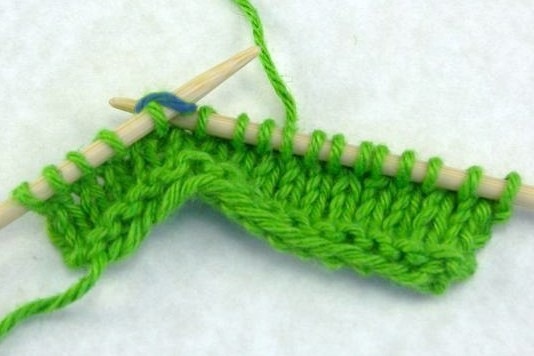 Knit to the point where you need to increase. See that blue stitch there? (Love Photoshop!) 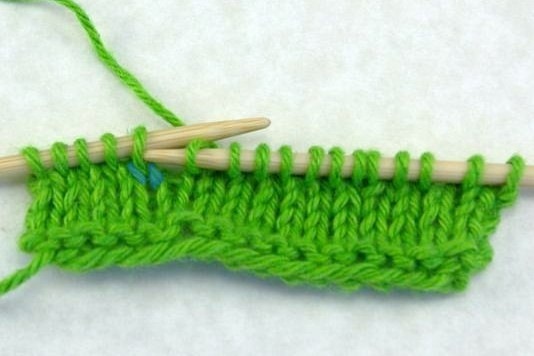 That is the stitch below the next stitch on the left needle. 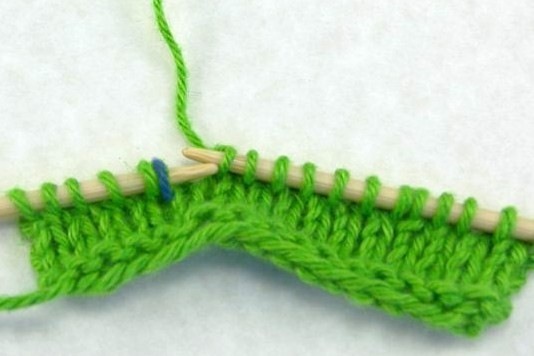 Insert the right needle into the right (closest) leg of that stitch. 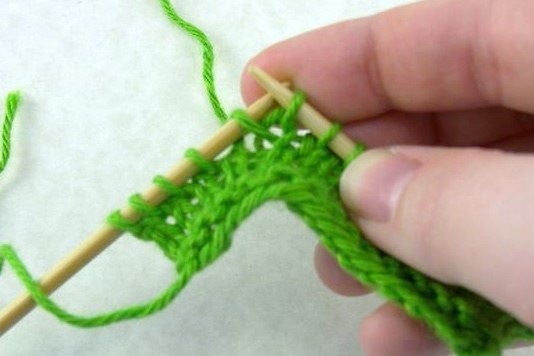 Place that loop on the left needle. Knit that new loop through the front. 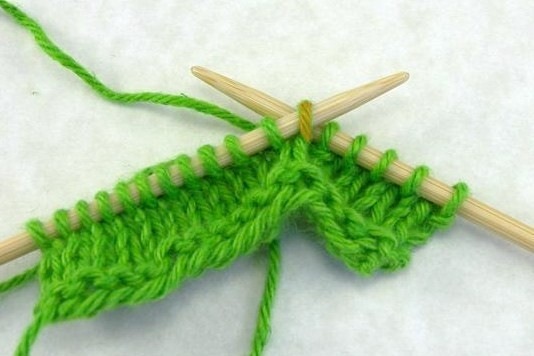 Knit the next stitch on the needle as normal and continue on your way. The second picture shows what things look like after you’ve knit the new loop but before knitting the next stitch. There’ll be a little hole where the increase is, but after a few rows, it’s practically invisible! But there it is. 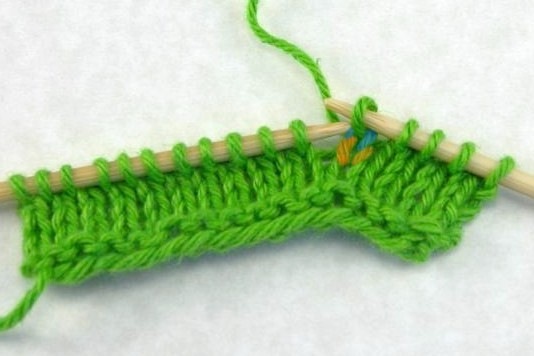 Knit to the point where you need to increase. 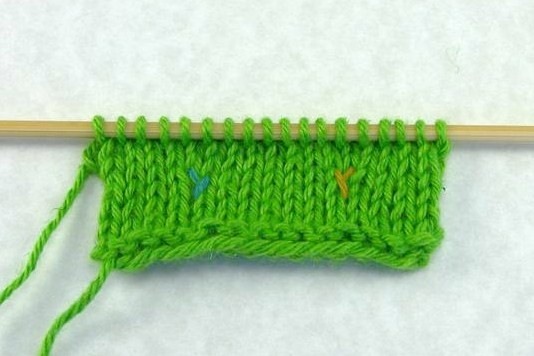 This time the stitch needed is the second stitch below the stitch just worked on the right needle, shown in orange. Don’t use the stitch directly below the stitch just worked (blue). The orange stitch is part of a previous row, just like the stitch used in LRinc; the blue stitch is part of the row you’re currently knitting into, which would make your increases be on different rows and probably look ugly. 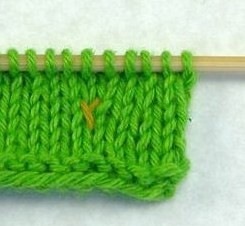 Insert the right needle into the left (closest) leg of the orange stitch. Knit into the back of this new loop. 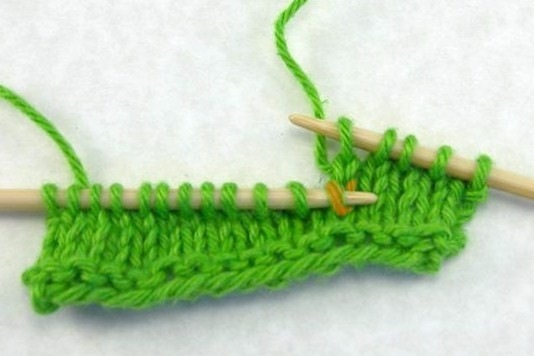 Knit the next stitch on the needle as normal and continue on your way. Ta-da, mirrored increases! Pretty, huh? Thank you so much for your excellent tutorial. I have watched Cat Bordhi’s video on these increases, but have been searching for something I could refer to while knitting. Yours is perfect! Aha! 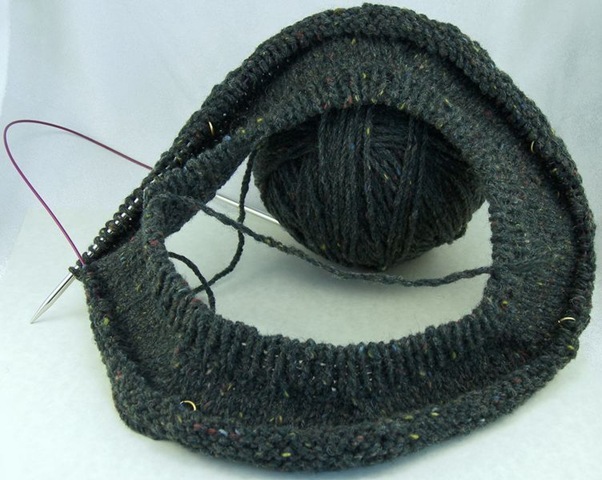 I’ve been miserably unhappy with my increases in a top-down baby raglan. I’m thinking that I was doing my increases the wrong way? I way using the left-leaning on the left and the right-leaning on the right but I see that you are showing the opposite above. Maybe that is why mine are more visible than I would like? Thanks for this A-ha! moment. I couldn’t figure out why my LLinc’s looked like the dog’s breakfast; the instructions were so simple. I found your great tutorial over Google (“lifted increase”) and I want to thank you very much for your clear instructions and fabulous pictures. I was able to do the increases right away, no problems. Thanks! Great ! I’m starting a new project that needs those paired lifted increases, and I didn’t know at all how to do it (never done before) ! You’re very helpfull , thank you so much ! Thank you so much for posting the pics, you did a great job. Thank you!!! Thank you so much for posting these!!! I’ve gone through half a dozen or so instructional videos/blog posts for these increases, but your pictures are the first ones that are clear enough to actually show what it is I’m supposed to be doing! 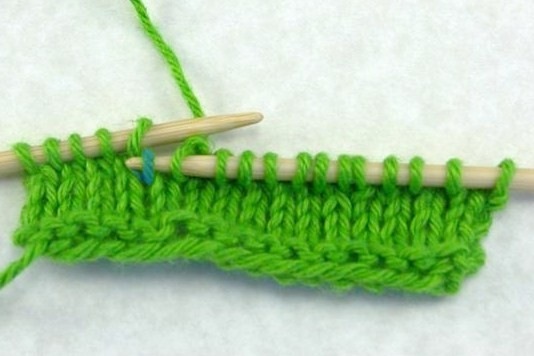 What happens when you are increasing in a PURL row? I want to know how to do a right-leaning increase at the very beginning of a row. 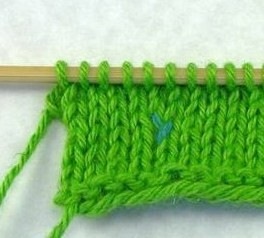 When I do one, the yarn just gets pulled back through the last row’s stitch. I’m assuming there’s some extra twist or something needed to be done but I want to know the best/least visible way to do it. Thanks. *right-leaning LIFTED increase, in case that was unclear. Thank you. Now I can take it with me while knitting this new crazy increase!